This achievement of this award is a high point in the growth of the organization. In 1977 the Dayle McIntosh Center (DMC) began operation with a budget of $52,000, a staff of two, and four core services. Currently, the Center’s annual budget exceeds $2,000,000, the DMC team includes 28 employees, and the organization offers 16 programs for individuals with disabilities. DMC values quality of service and strives to ensure that programs function at peek performance. The Center aspires to be a model disability organization, which offers excellent service to every consumer every time. DMC relates to others in a manner that conveys honesty, openness, and mutual respect. DMC advances the concepts of interdependence, collaboration, and unity. DMC upholds the belief that all U.S. citizens are entitled to the benefits of American society and promotes a global view of inclusion, which embraces diversity on all levels. DMC supports the right of people with disabilities to direct their own lives including setting boundaries, taking risks, and pursuing their goals and dreams. DMC commits to a level of program and fiscal accountability that reflects the trust afforded the center by consumers, funders, and the public. The Dayle McIntosh Center is proud to be located in Anaheim and takes seriously its obligation to assume a leadership role in improving the quality of life in the city. 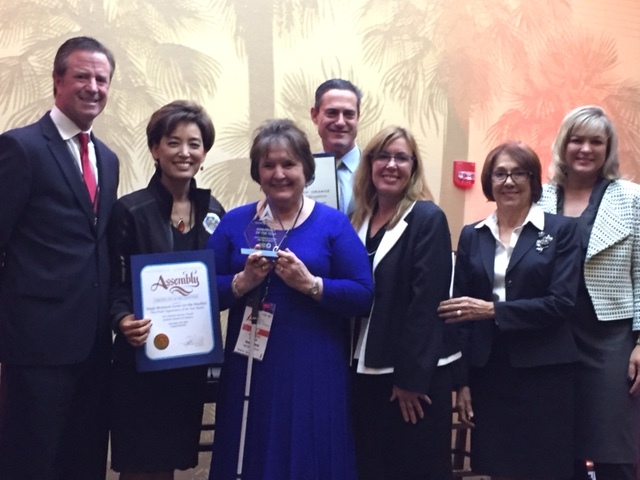 Recognition as the “Nonprofit Organization of the Year” is a great honor and DMC is grateful to the Anaheim Chamber of Commerce for the award of this distinction.